Over 600 CAs completed the latest ICAS Brexit Tracker survey. The results indicate waning confidence in the UK Government to negotiate a free trade deal with the EU. Key elements of the UK Government’s negotiating position are “unclear”. Only around a third of finance professionals in large businesses say their organisation has started scenario planning for the impact of Brexit on key areas, such as hiring/human resources and supply chain/logistics. Confidence that the UK Government can negotiate a free trade deal with the European Union is also waning, and key elements of the UK Government’s negotiating potion are “unclear”. These are among the findings of ICAS' latest Brexit Tracker survey, in association with leading law firm Brodies LLP. The Tracker is based on an online survey of CAs carried out in July 2018, shortly following the publication of the UK Government’s white paper The Future Relationship Between the United Kingdom and the European Union. Just over 600 members completed the survey. Around eight out of 10 of the respondents in smaller organisations (below 250 employees) say their organisation has taken “no action” as regards hiring/HR, supply chain/logistics and reviewing contracts. Of those in larger organisations (250 employees or more), a minority had started scenario planning for hiring/HR (36%), supply chain/logistics (36%) and regulatory change (43%). Several key elements in the UK Government’s negotiating position are not well understood by business. Even fewer had so far sought external advice on hiring/HR (21%), supply chain/logistics (16%) and regulatory change (25%). A “common rule book” covering trade in goods (only 26% rated this as “very or fairly clear”). Respondents’ preferences regarding the future UK-EU relationship remain stable, with 62% preferring that the UK remains in the Single Market, 5% preferring the UK to remain in the EU Customs Union and 26% favouring participation in a UK/EU free trade agreement. These numbers are closely in line with the Brexit Tracker poll in autumn 2017. The number of CAs who believe that the UK will reach a free trade agreement with the EU has fallen. In terms of the expected outcome* however, the number of CAs who believe that the UK will reach a free trade agreement with the EU has fallen to 29% (autumn 2017: 36%), equal to the number that believe the UK will have no free trade agreement (autumn 2017: 29%). The number opting for “don’t know” has doubled from 9% last autumn to 18% this summer. Expected impact on the UK economy post-Brexit -21 (-16). Bruce Cartwright CA, ICAS Chief Executive commented: “It has always been the case that ‘nothing is agreed until all is agreed’. 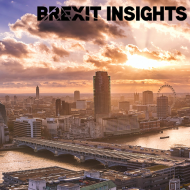 “ICAS members’ concern over the outcome of the Brexit process is understandable, since there would appear to be some fundamental areas of disagreement with only a few months to go. She added that businesses should pay close attention to the guidance and proposed orders being released over the next few months under Brexit legislation. ICAS has established a Brexit Advisory Group to understand members’ concerns, represent their views and interests, and assist them in understanding the impact of key issues on themselves and their organisations. How will business be affected by a no-deal Brexit?